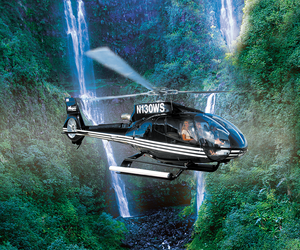 Prepare yourself for the thrill of a lifetime as you soar over the amazing Big Island landscape with breathtaking views of the Pacific, spectacular waterfalls and lush rainforests. 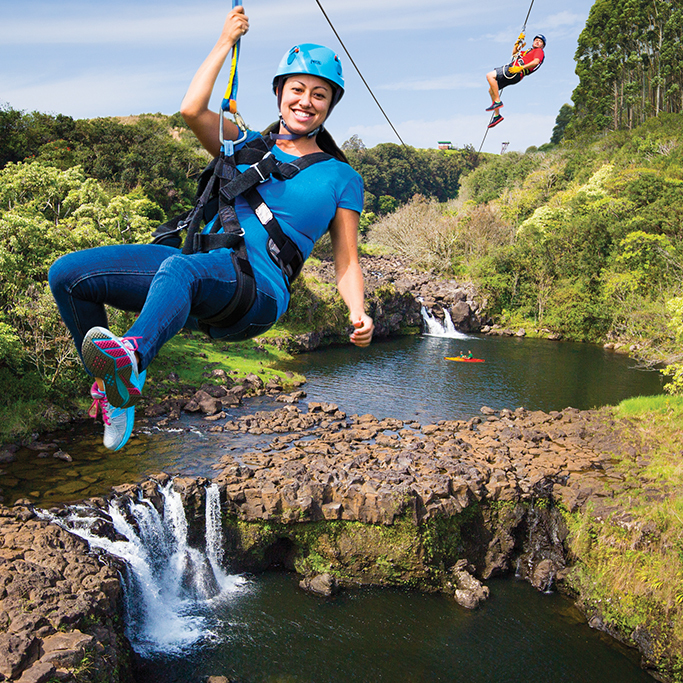 UMAUMA FALLS & ZIPLINE EXPERIENCE offers a zipline tour like no other company on the island, with 9 long lines, 2 miles of exhilarating fun and 14 waterfalls! You will glide above rivers and waterfalls impossible to view unless on this tour. Cross a 200-foot suspension bridge that takes you 100 feet over a river gorge, lava tube and fern grotto. The Umauma Falls Zipline Tour is an incredible experience for the entire family!